After finding over a hundred West Coast Lady (Vanessa annabella) eggs and a handful of Gray Hairstreak (Strymon melinus) eggs on wild mallow (Malva) this year we have gathered some knowledge on the ovipositing preferences of the adult female. Egg and to some extent caterpillar hunting on low, weedy (herbaceous) plants is all about getting to know the ovipositing preferences of the adult. Even species that lay eggs on the same type of plant may have different preferences for where they lay. Over the past month, we have been collecting tons of West Coast Lady (Vanessa annabella) eggs as the fall influx of adult butterflies starts to really heat up as they pass through on their annual attitudinal migration. After locating over a hundred eggs on well over a dozen wild mallow (Malva) plants at five or so unique locations from Berkeley through El Cerrito, we have certainly gotten a better idea of the ovipositing preferences of V. annabella that we would like to share. First off, V. annabella strongly adheres to the isolated plant technique. The chance of finding eggs in a patch of mallow plants of over two square feet is low. In addition, wild mallow plants have different growth forms: some are very low (flat) on the ground growing out in a circular fashion where the leaves are very dense while others are much more branchy and tall; the latter is much more preferred. 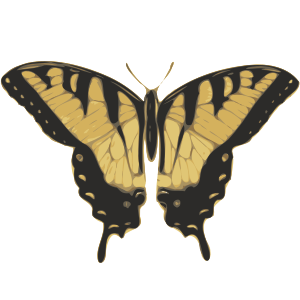 However, unlike the Anise Swallowtail (Papilio zelicaon), the number of eggs laid to the size of the plant is somewhat linear; relatively larger plants consistently get more eggs than relatively smaller ones. Rarely will a tiny plant be clobbered in a significant amount more eggs than it can reasonably handle and rarely will a larger plant that does have eggs only have a single one or two. Concerning the new growth technique, or the seasonal health of the host plant, V. annabella seems to have little preference. Eggs can be found on mallow plants of any life cycle stage (regardless sprouting/regenerating or flowering with mature seeds). Eggs are laid on any leaf, fresh or not. Each time we review our harvest, we see no pattern in the size of the leaves (larger leaves tend to be either mature or those from fresher, healthier plants in the shade and smaller leaves tend to be either new leaves or those from plants growing in full sun). The only thing that we have noticed that should be taken note of is that they tend to avoid plants that appear to be trampled on or very damaged. Because mallow is a weed that usually grows on the edges of dry grasses (like on the side of a lawn, near the sidewalk or the road, or at the end of a driveway), depending on the location of the plant, it may receive routine pounding by human feet or vehicular bashing. The weedy plants are designed to withstand quite a bit and will not easily die, but the leaves and stems will suffer damage that seems to render the plant unattractive. At the same time, plants growing in awkward locations are usually those that are more difficult to spot by the butterfly and/or less suitable for the butterfly to be to oviposit. (Not to mention, even if eggs were laid on these types of plants, they would probably be crushed or lost after being trampled on anyway!). V. annabella does not seem to have a very significant preference for sunny or open locations. The sun certainly might help to increase activity, but is not a requirement. One of our best plants was growing under the BART tracks where it is shaded 24/7. The pattern for the location on the mallow plant that the eggs are laid on is straightforward and does not take long to figure out. Eggs are laid only on leaves and only on the tops of the leaves, generally somewhat near the center. To a human eye, the eggs may appear to be carelessly scattered, or laid messily, and are often times not fully glued onto the leaf (either hanging from a string of glue or lying flat on the leaf). The eggs are typically laid singly but it is not particularly uncommon to find more than one egg laid in the same spot. Oviposition, like most actions governing lepidopteran behavior, is a fixed action pattern so occasionally the adult female will uncontrollably perform more than once when still presented with the stimulus (at least, this is our theory). Like with most butterfly eggs, if there is an egg on one area of the plant there will most likely be more very nearby; and the opposite is also true. A "carelessy" laid egg, laying on its side without proper attachment. Three eggs laid in a row is an extremely rare sight. Four eggs laid on a single leaf -- a record! The location preferences of the Gray Hairstreak (Strymon melinus), a Malvaceae feeding species that we have been finding quite a number of eggs from this past week alongside V. annabella, differ in some ways. Eggs are commonly found on or near buds or on stems as well as leaves (usually newer ones). They are almost always laid close to the periphery of the substrate rather there near the center. In that sense, they are more difficult to find than V. annabella eggs. Today we actually witnessed a S. melinus adult ovipositing on wild mallow. Her behavior might help to explain this: she landed on a shoot tip (part with buds and flowers) and walked up and down the stem several times while laying without flying. S. melinus eggs are virtually always laid singly. On a side note, we also witnessed a S. melinus adult ovipositing on ornamental hibiscus, another introduced host in the mallow family. S. melinus overall seems to be less picky than V. annabella about the specific plant. But unlike V. annabella who may lay up to 20-30 eggs at once, a larger plant rarely means more eggs. The adult female tends to only lay a few eggs per plant at a time.